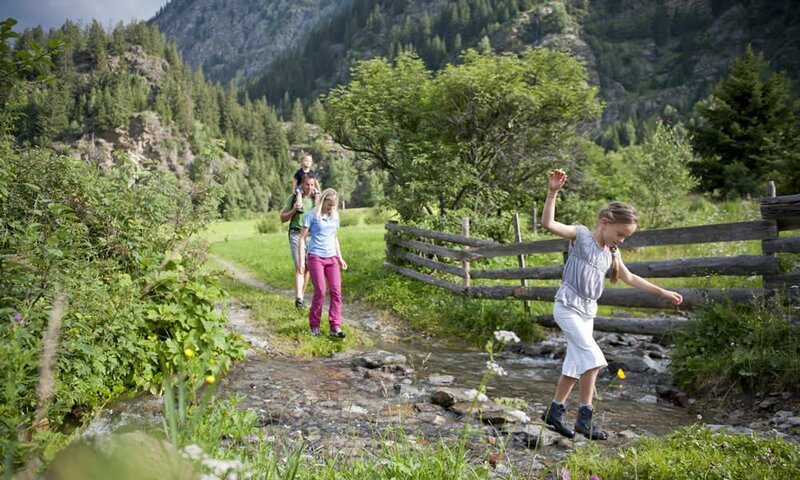 Our mountain farm in Racines – South Tyrol is situated in one of the most gorgeous locations in South Tyrol: The Ridanna Valley. 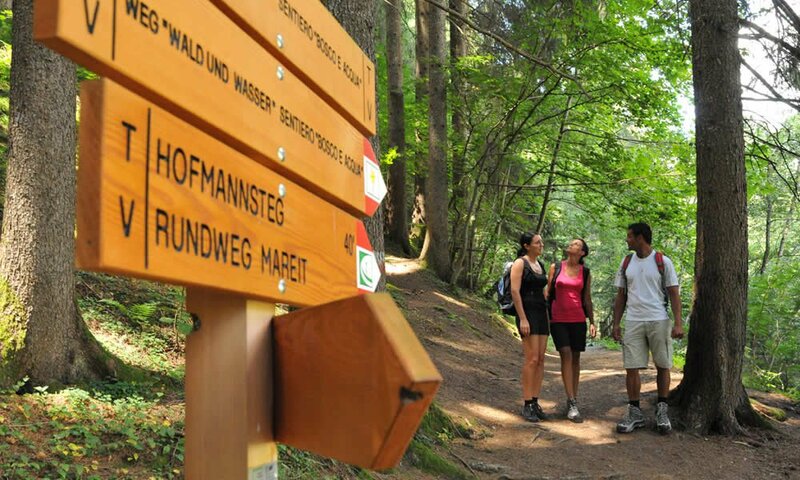 Right in the heart of the Alps, here you’ll find an ideal starting point for your hiking holidays in South Tyrol. 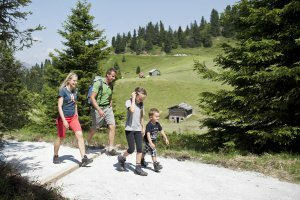 No matter if you take the cable car to Monte Cavallo from the nearby city of Vipiteno (for example, to reach the Ridanna high altitude trail) or if you start from Mareta and enjoy the tranquillity of the forest until you reach one of the sunny alpine mountain huts. 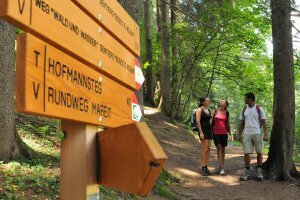 Hiking paths of any difficulty level wait to be discovered. Furthermore, the mountain lakes Lago del Forno and Lago dell’Erpice are great places to enjoy a peaceful rest. A very interesting and unique highlight– well hidden among the peaks of the South Tyrolean mountains – awaits you during your hiking vacation in South Tyrol: The Mining World in Masseria. In this museum, between 1400 and 2700 meters above sea level, you may find out how in long forgotten times the miners dug their way under toughest conditions, deep into the mountains, mining for ore.
Of course, even in the winter you may take various walks. 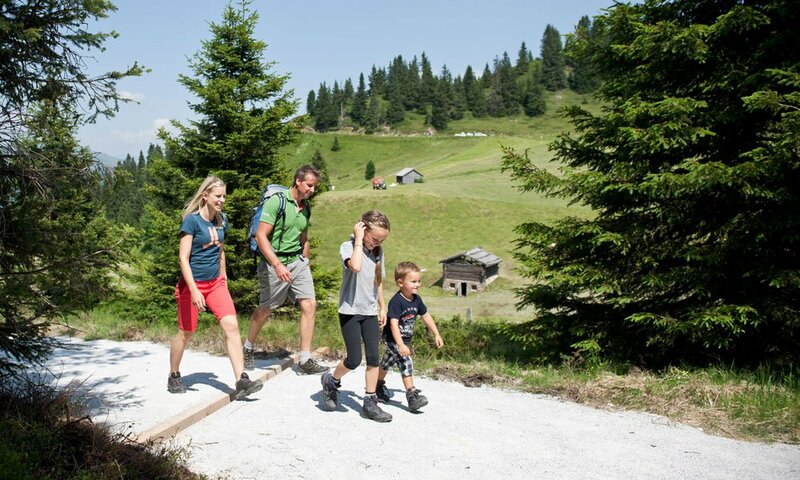 Follow one of two well-groomed winter hiking trails leading you to two alpine huts. After an energizing meal, you may return into the valley by toboggan. The Burkhard Gorge should be on the very top of your to-do list during your hiking holiday in the Ridanna Valley! 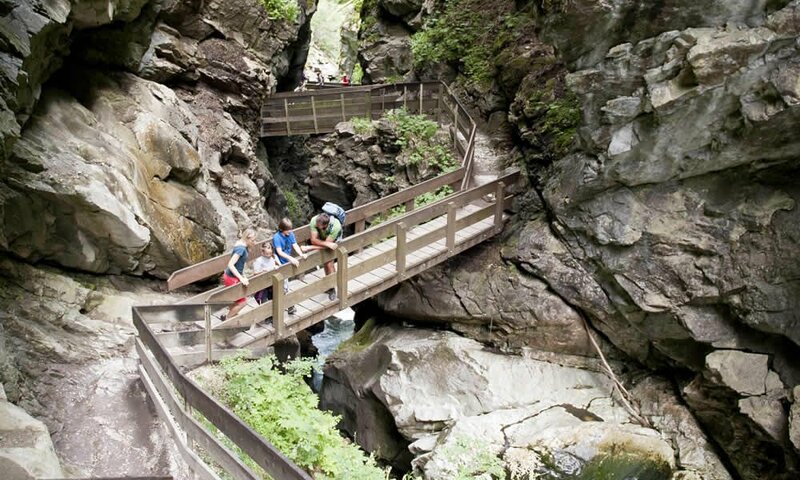 From Racines, you may reach it in only 45 minutes by foot and once there, you’ll walk along a marvellous panorama trail leading you through the canyon. 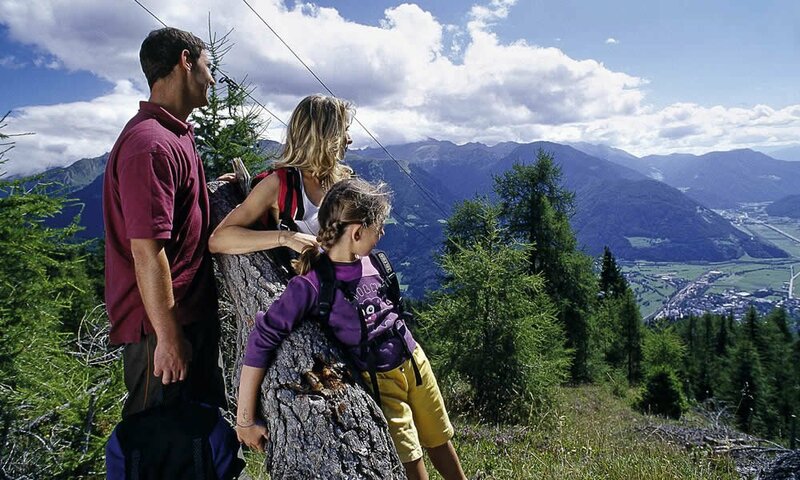 Pass small bridges directly next to waterfalls and climb up the mountain slopes to the view point, from where you will enjoy a breath-taking view on the Stubai Alps. Experience a unique nature spectacle at the Burkhard Gorge in Masseria / Racines. In March, when winter slowly leaves the valley, the snowmelt allows wonderful panoramic views. 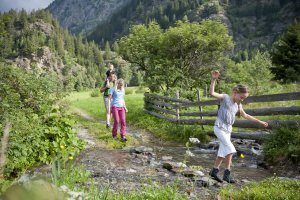 In South Tyrol we love the season, when the sunlight heats the ground and the first flowers sprout on the meadows. We have to celebrate this! On the 1st Sunday in March, it’s time for the Ridanna Gran Fondo, which attracts sports enthusiasts from all over the region. On the 2nd Sunday, the popular Harley & Snow Race takes place (this year already for the 3rd time). 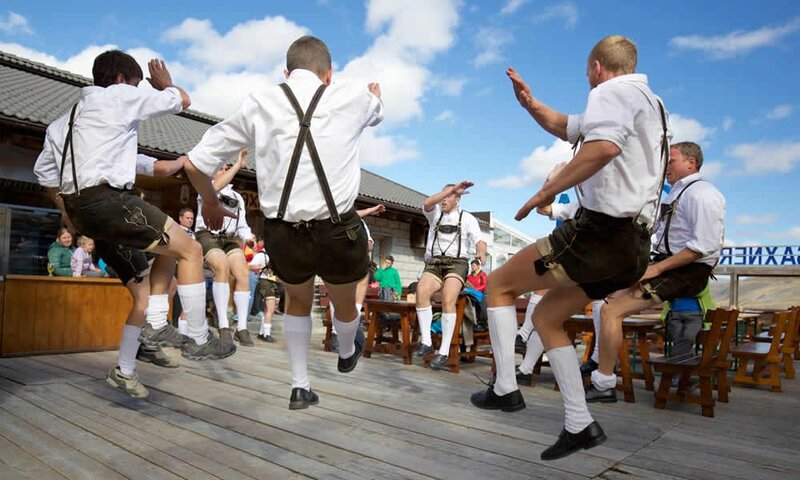 Celebrate with us and enjoy carefree holidays in the spring in South Tyrol.